Since 1948 the Hanke + Seidel group is an experienced and dynamic trade company in the field of chemistry products. 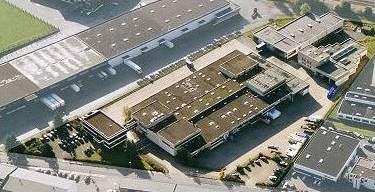 The groups´s headquarter is located in Steinhagen / Westfalia, Germany. Eight years after the company`s foundation and intensive growth phase, the first branch located in Borghorst started its work. Only three years later in 1959, a second branch was founded in Menden, close to Dortmund. Herewith the customer oriented philosophy of Hanke + Seidel was intensified and guaranteed to grant an optimal service for the customers in the German Ruhrgebiet. In 1994 Hanke + Seidel took charge of Seewald Chemie Unna and of Auqa - Systems Steinhagen in 1997. The range of goods distributed by Hanke + Seidel is characterized of a permanent adjustment, regarding the rapid shifting hypermarkets. Altogether Hanke + Seidel supplies more than 3.000 customers. The most important module of the company's philosophy is the consistent orientation on the customer needs, as well as being in time with market- and environmental requirements. Hanke + Seidel achieve the customer orientation with the help of its regional branches and with warehousing and distribution of its own.